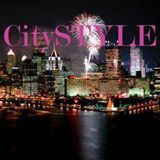 CitySTYLE is celebrating international love! We are putting a spotlight on couples from different parts of the world, and different national backgrounds. We love culture, we love travel and we love fashion and these two couples represent the best in international style! He’s Style Week Pittsburgh’s 2016 Artist of the Year, and she’s a model and artist. Together they design fly clothing and accessories for their ProBantuStyle line. The engaged couple get top prize for most stylish! We met at Baltimore City Community College in Visual Merchandising Class which we had together. This was located in Maryland in United States of America. What is the best thing about being in an international relationship? They are partners in life and in business. She’s a stylish Business Development Consultant and Steelpan musician and educator. He’s a contractor and DJ. Together they are taking care of business! 14 years of marriage never looked so beautiful! We met while both attending a religious ceremony for a mutual friend. We both happened to sit in the same pew at the church. We’ve loved learning about each others countries, culture, and customs. Adapting both of our traditions into our family has been great. Our children love and identify with both. The couple have 3 daughters, Sofia (13), Stella (9), and Cecelia (5) and are the owners of Straight Forward Consulting Co.
Next Next post: Nominations Now Open for Style Week Pittsburgh Style Awards!